I bought this magnet at the National Museum of American History - which they just reopened recently, after completing some fairly neat renovations. This year we're celebrating Lincoln's bicentennial, and as part of it, they're putting on a special exhibition (you know I love 'em), Abraham Lincoln: An Extraordinary Life. If you've time, definitely check it out - it's pretty cool. They have his beaver-skinned top hat! Dudes, he was a giant, and he still wore that top hat that added several inches to his giant (ok, 6' 4"/5") frame. 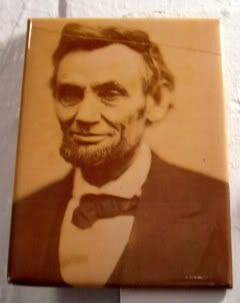 But, I picked this magnet, because one of the tentpole events of the bicentennial is the rededication of the Lincoln Memorial today - with special speakers and the Marine Band (Love!) in attendance. If you've never been, the NPS has a superduper interesting flash piece about the building of the memorial which was actually begun in 1913/1914. Totally informative, as for some reason, I never thought about how the columns are in segments. I don't know why I may have thought that a really, really, really, really, really tall crane put that up. (Don't even get me started on pyramids...) But, seriously - can you even imagine the National Mall without the Lincoln anchoring it? And, in case you haven't gone to DC - here's the tourism ad. 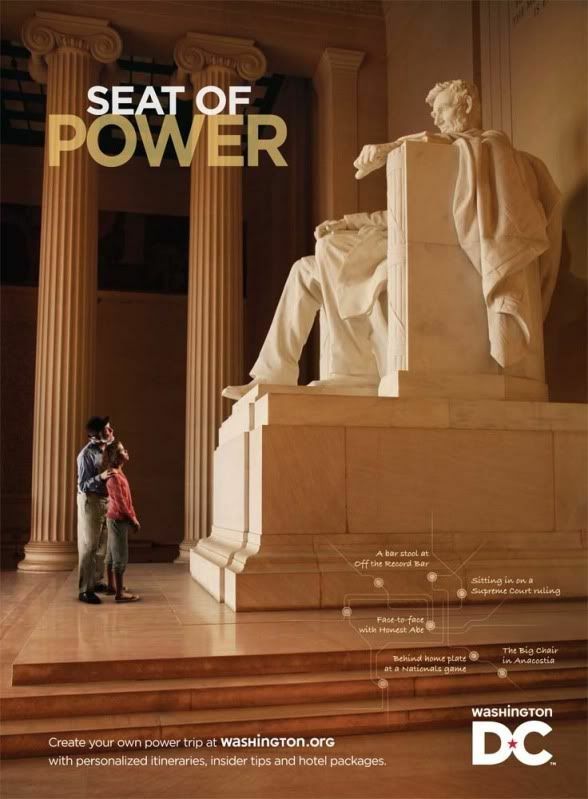 No, literally - my colleagues produced this DC tourism ad, to help drive traffic to the DC tourism site to start planning your own Power Trip. It's one of my favorite ads to come out of our group - mainly because it shows the memorial in such a majestic and imposing light. Truth be told, it's a little God-like. But I suppose that's another magnet altogether.